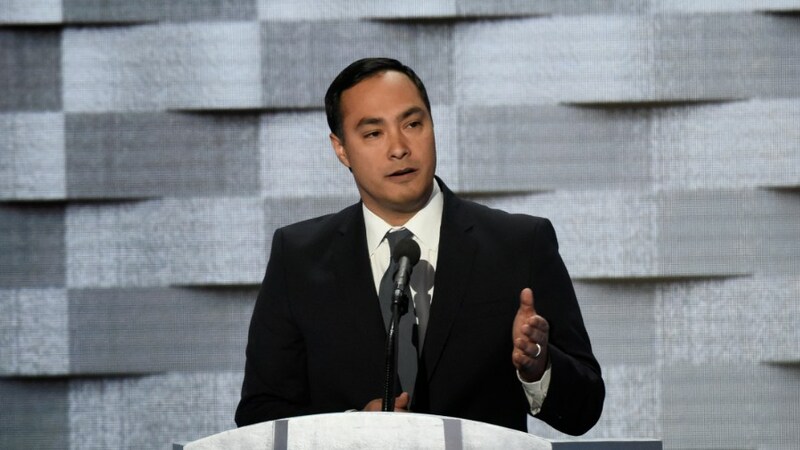 In this July 28, 2016, file photo, Rep. Joaquin Castro, D-Texas, speaks during the 2016 Democratic National Convention at the Wells Fargo Center in Philadelphia. Democrats in the House of Representatives introduced a resolution to block President Donald Trump’s national emergency that could allow him to build a wall on the southern border. Democratic Texas Rep. Joaquin Castro introduced the resolution, which he said will pass the House, as 222 cosponsors have jumped on board. Castro sent out a tweet saying his resolution would terminate Trump’s national emergency. Democrats only need 218 supporters to pass the resolution. A few Republican senators, including Maine Sen. Susan Collins and Ohio Sen. Rob Portman, have said they do not agree with the national emergency. Follow Henry Rodgers on Twitter.